SPECIAL OFFER FOR MAY 2019!! Limited places available. 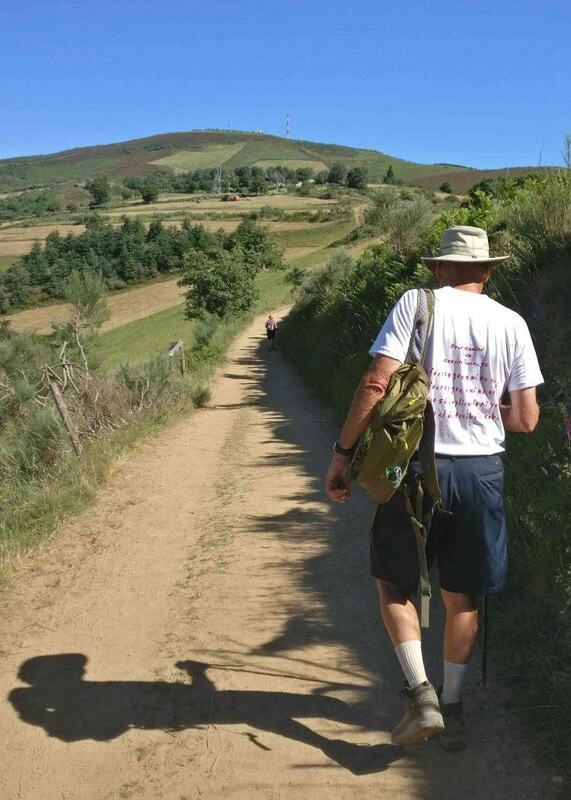 El Camino de Santiago is one of the most important medieval Christian pilgrimages. 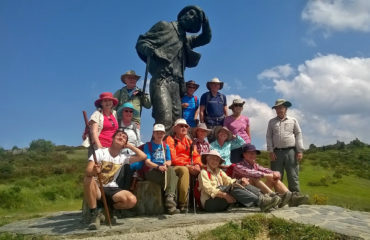 Walk with us as a small group of pilgrims from Roncevalles on the French-Spanish border to the Atlantic Ocean along the old route of Saint James to Santiago de Compostela and to Finisterre, the ‘End of the World’; it is a life changing experience, rich in cultural encounters, incredible landscapes, great food and the best company. 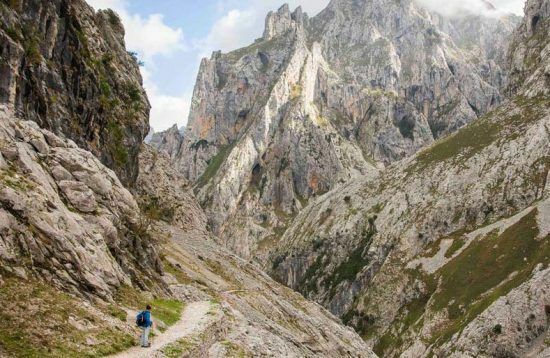 We’ve chosen the best walks and we transport your luggage as you walk The Way. 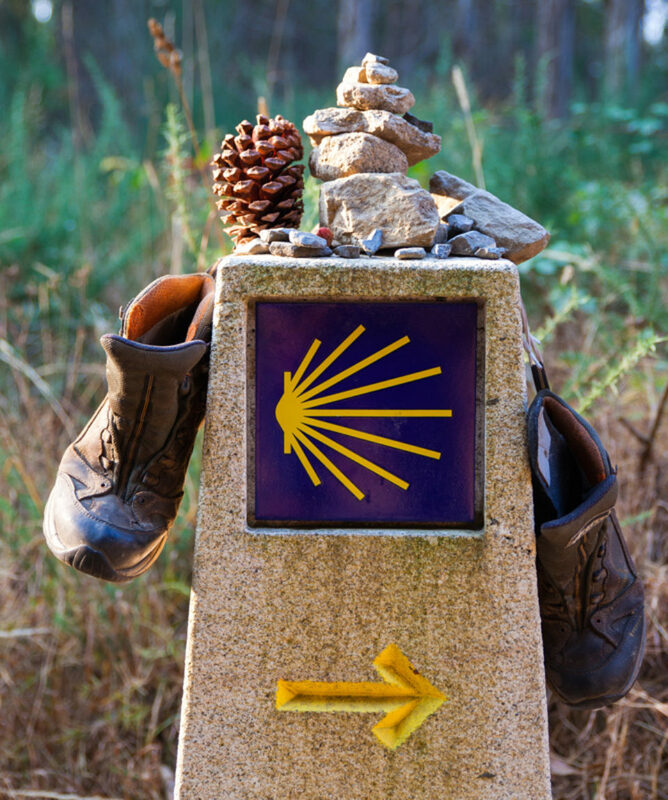 Whether it is for religious, spiritual reasons, mindful time-out or simply that itchy-feet feeling; The Camino is calling and you must go! 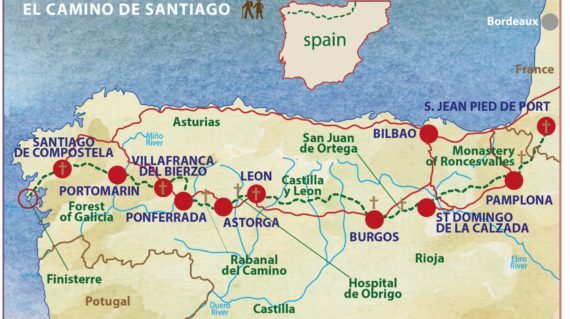 All about the Camino de Santiago. 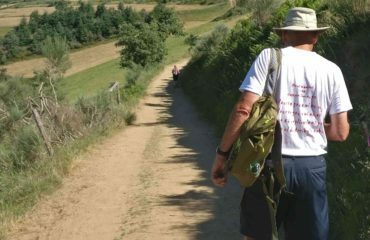 El Camino de Santiago de Compostela is one of the most important medieval Christian pilgrimages, which can be traced back to the 9th century. 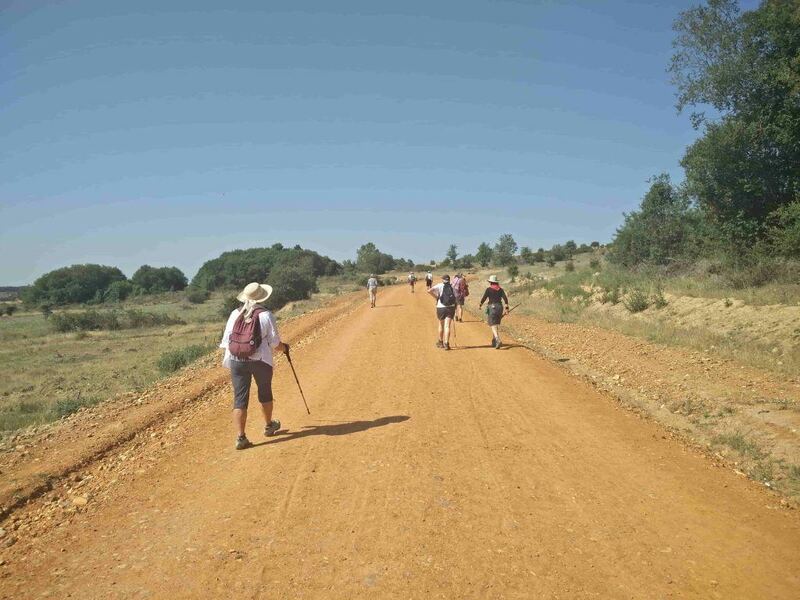 A movement so extraordinary that millions of people have travelled on foot to the sacred shrine of St James the Apostle, mostly for religious purposes. Today’s motives for embarking on the journey tend to differ. 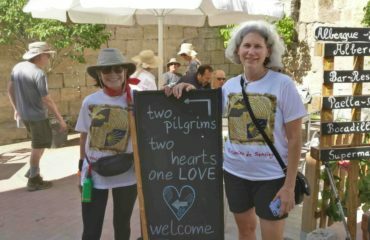 Contemporary pilgrims travel the Way to break free from the ties of the modern world, live an authentic moment in life, allowing time for mindful reflection. 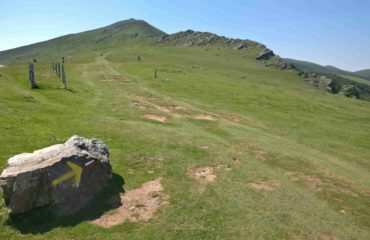 On this carefully researched tour we trace back along the ancient route starting from the quaint town of St Jean Pied de Port on the French border in the Pyrennees. 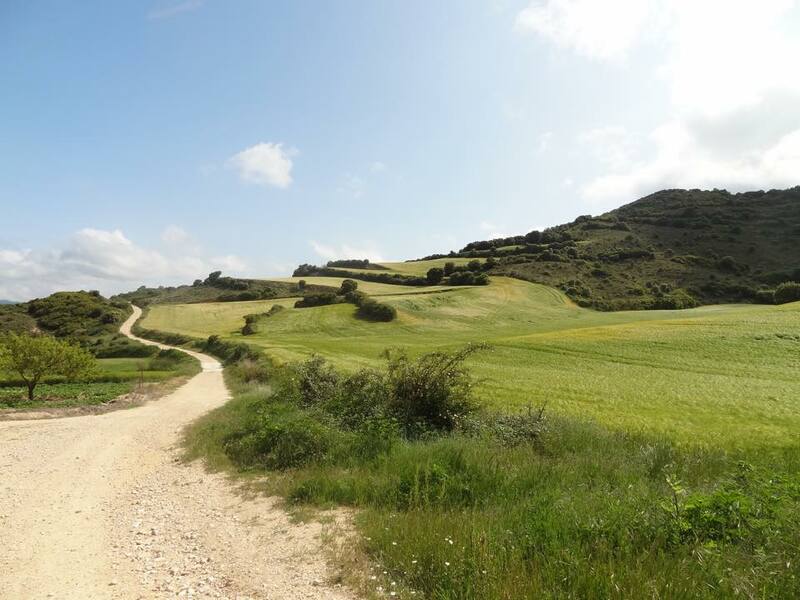 We then cross into Spanish territory and head to Pamplona, an ancient Roman city made famous by Hemingway for the Running of the Bulls festival. 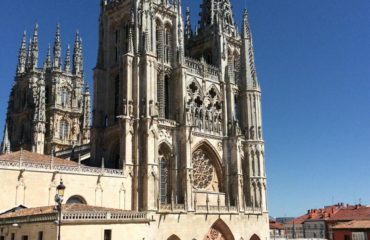 On our way to Santiago we pass through the wine region of Rioja and the incredible cities of Burgos and Leon with their imposing Gothic Cathedrals. 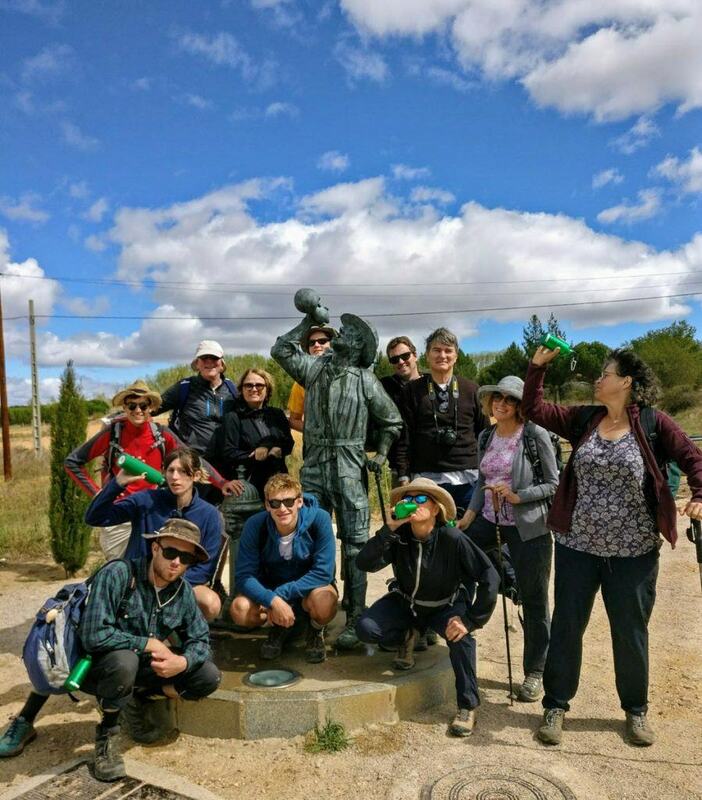 From Leon to Astorga we are rewarded with ancient Roman ruins and spectacular Gaudi Palaces, before crossing the Montes de Leon, and descending with spectacular views to the Knights Templar Castle of Ponferrada. 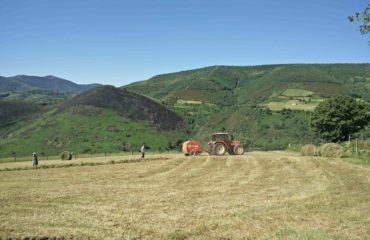 As we enter Galicia and make for Santiago we stroll through traditional farming villages, hilly pastures and cross many rivers. 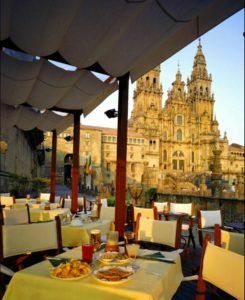 Arriving in Santiago de Compostela and gazing at the ancient Cathedral is like a dream come true, an unforgettable and rewarding experience. 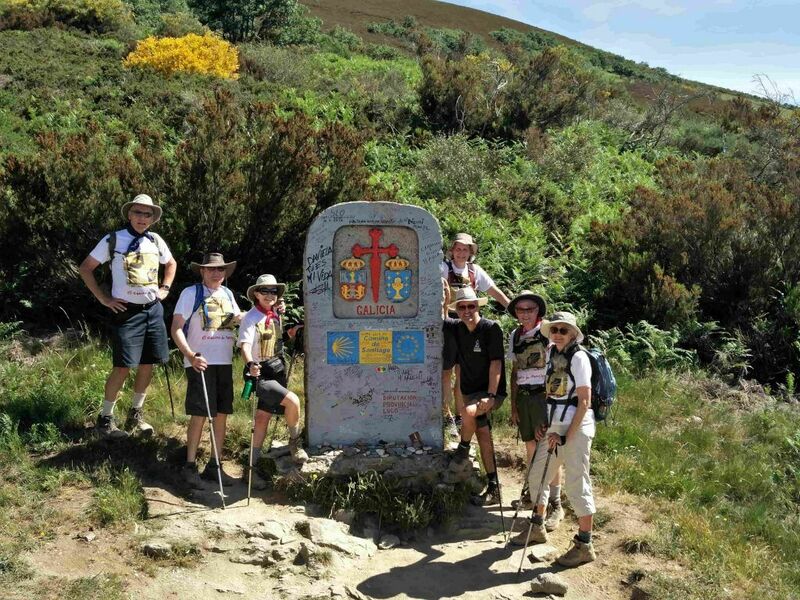 But our Journey is not over yet for on our last day we make our way to the coast of Finisterre, known in ancient times as the end of the world, where strolling bare foot on the beach you will find scallop shells, the symbol of the Camino, to take home as memories. 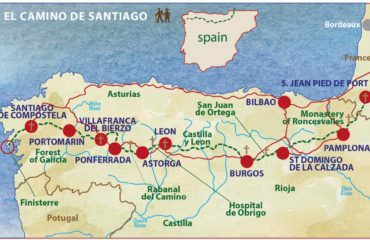 If you would like to speak with us to know more about our Camino de Santiago Walking Tour, please write us an email or call 800.908.1980. We would be happy to hear from you and help you planning your next adventure! Whats not included in this tour.Items that are not included in the cost of tour price. 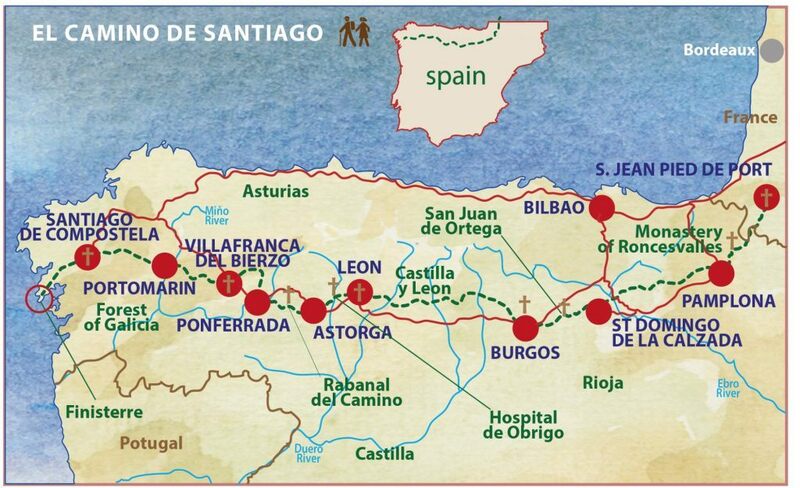 We meet at 14.00 at Bilbao Airport and drive along the Spanish northern coast to St Jean Pied de Port. 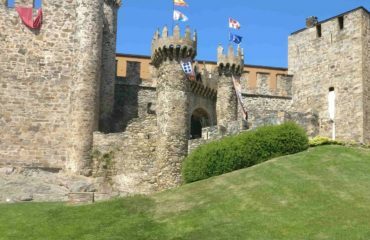 Here we enjoy a leisurely stroll around the town’s medieval streets and up to the citadel where you can view the Pyrenees. After collecting our pilgrim passports we head to our hotel and then get together for a lovely welcome dinner. 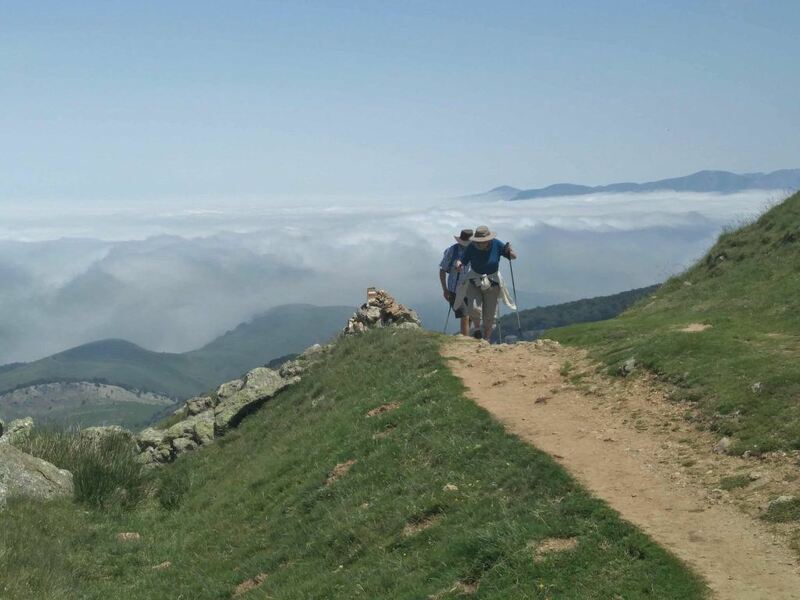 We begin El Camino de Santiago tracing the steps of ancient pilgrims, heading up into the Pyrenees for breathtaking views and our first picnic. 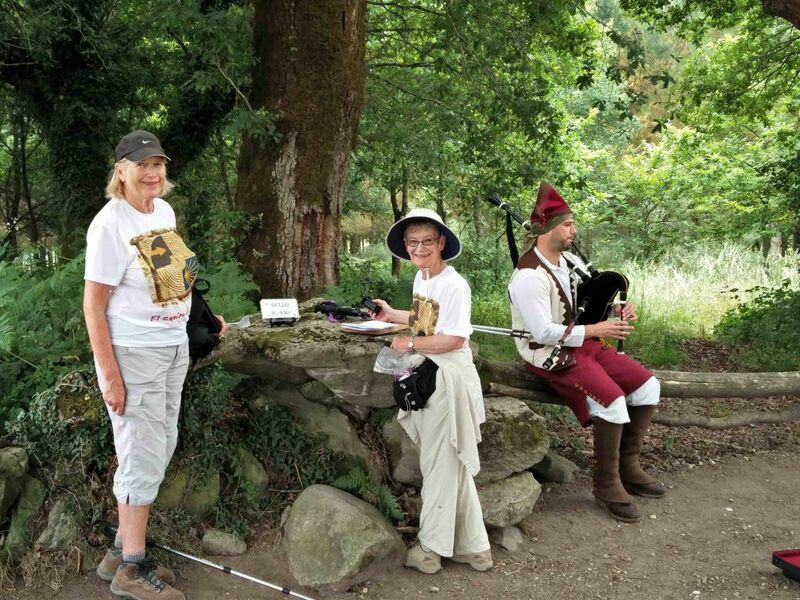 After lunch we cross over the Spanish border and descend into one of the oldest and most important stops on the Camino, the 11th century monastery of Roncesvalles. 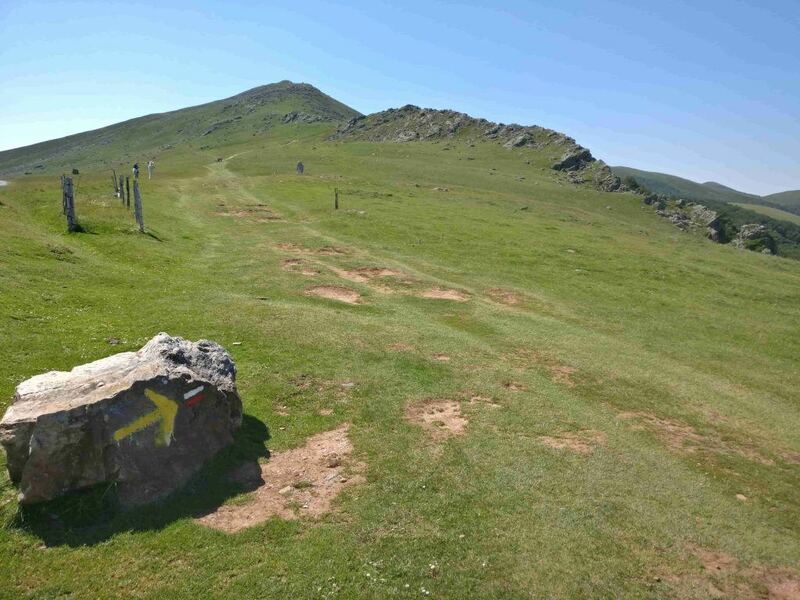 Here the Basques defeated the rear guard of Charlemagne’s army, spawning the famous epic poem of chivalry “La Chanson de Roland”. A short drive takes us to the ancient city of Pamplona, which with its Fiesta de San Fermin and beautiful architecture has captured the eye of many artists. 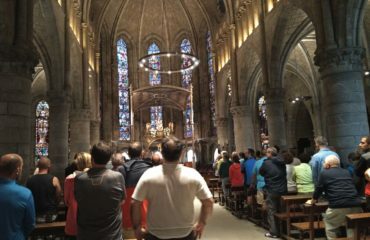 Enjoy a pleasant walking tour of the city following the route of the famous running of the bulls and tracing Hemingway’s footsteps. 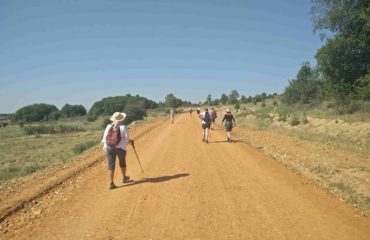 We leave St Domingo and move on along a quiet mountain path through oak and pine woods and emerge in St. Juan de Ortega. 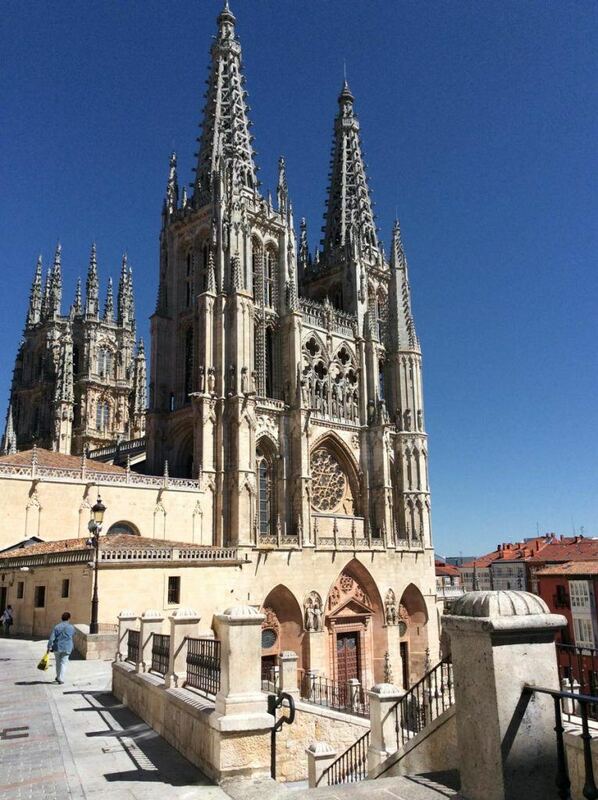 After lunch we walk on to the quaint village of Ages, before driving on to Burgos. 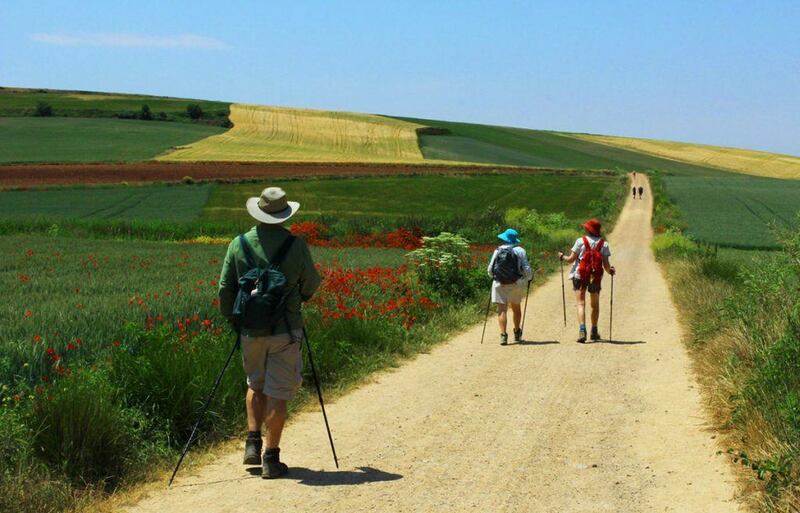 Today we experience life in the heart of Castilla y Leon, walking through the mesetas and small, slow paced villages. 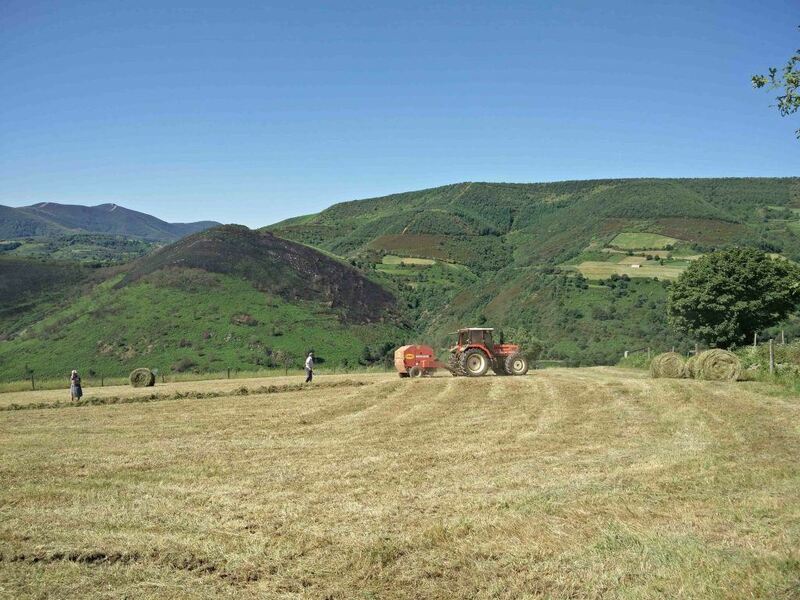 This plateau region 800m above sea level is entirely covered in cereal crops which form endless horizons broken only by the occasional view of a bell tower in the distance. 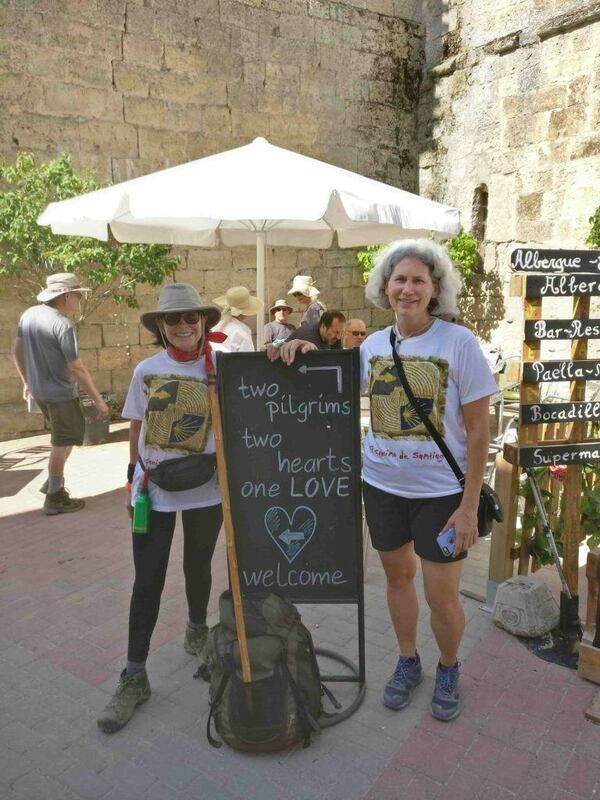 Our day starts crossing over the longest and best preserved medieval bridge in Spain, the Puente de Obrigo where we walk through the town of Hospital de Obrigo. 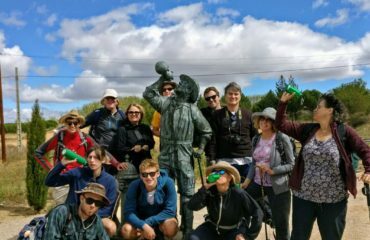 Our walk takes us across open countryside to our destination city, Astorga. 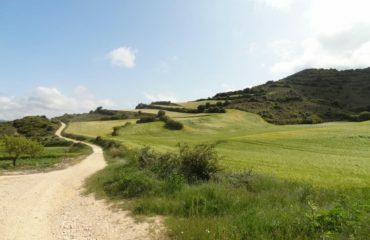 One of our favourite walks of El Camino de Santiago! 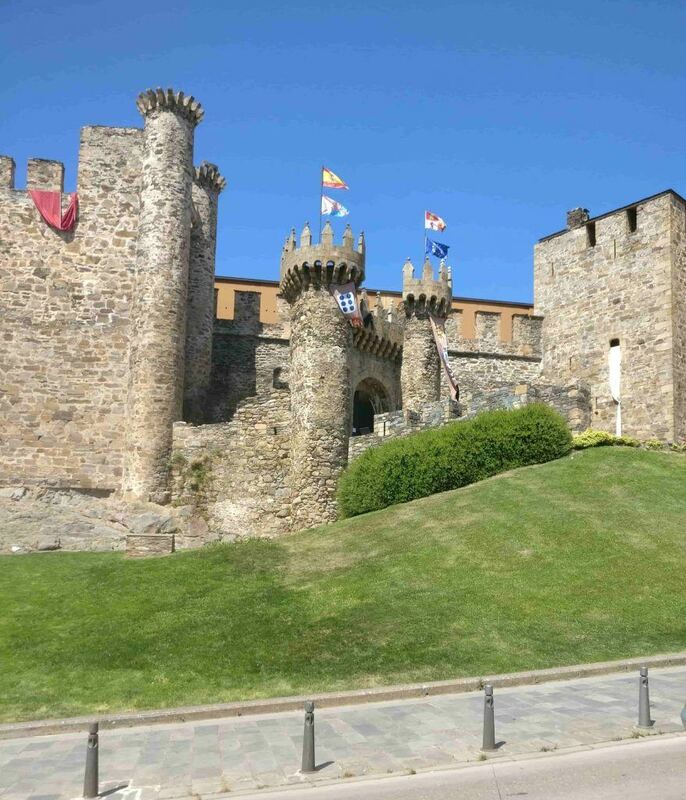 We head up into the mountains, over the pass of Irago, through the beautiful towns of Rabanal del Camino and Foncebaldon and descend to Ponferrada to visit the ancient Castle of the Knights Templar. 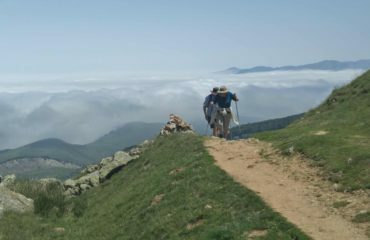 We leave Villafranca del Bierzo and walk along a spectacular and quiet alternative route over the Alto Pradela. 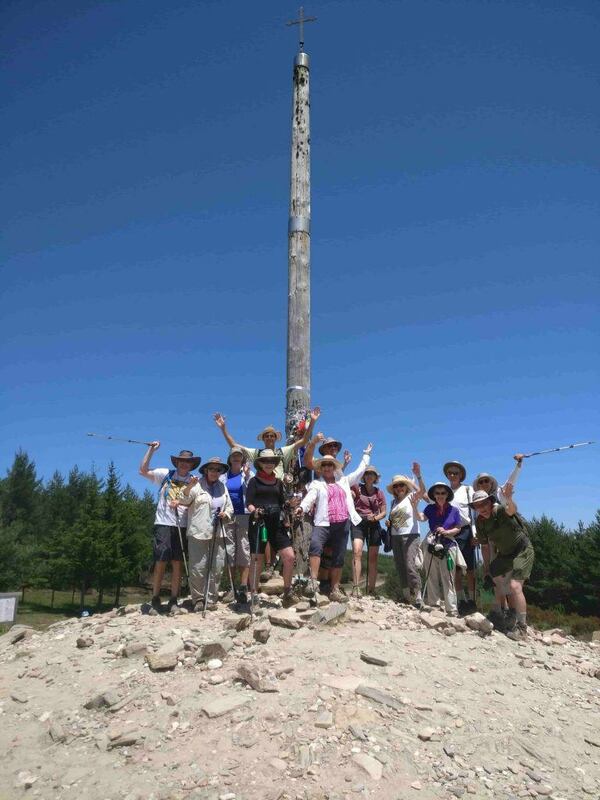 After a picnic lunch we head up into the high mountains of Galicia to famous O’ Cebreiro. Here still standing is one of the oldest surviving churches associated with the Camino, the Iglesia de Santa Maria Real, dating as far back as the 9th century. 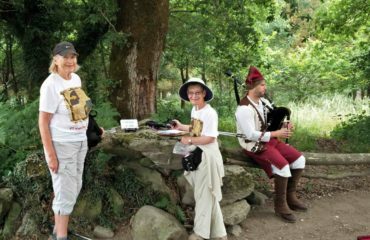 Today we walk through the beautiful hills and forest of Galicia, past traditional farming villages to the town of Portomarin which sits on the hillside overlooking a spectacular river. 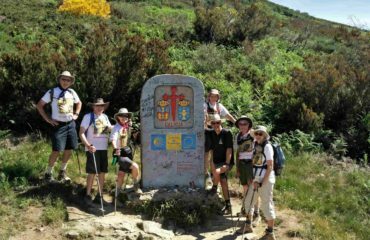 Our journey does not end here, as true pilgrims we must continue to Finisterre and the lighthouse at the end of the world. We walk into Finisterre along a spectacular, 2km stretch of the Playa de Langosteira beach and head on a further 3km to the famous lighthouse. Departure at 9.00 from our hotel to Santiago airport. Alternatively you can make your own way at your leisure. If you wish, we can help you to extend your stay or make other independent departure arrangements such as early taxis to the airport. Accommodations are an important point of your overall holiday experience. One of our first thought is to find and choose the best hotel and b&b solutions, ensuring that each night of your itinerary finds you comfortably settled in a space that is welcoming and full of authentic local charm. When considering a hotel, we look at more than just the rooms and wherever possible, we arrange for stays close to the places you most dream of seeing like historically iconic, coveted high-design or supremely located at the edge of a wilderness. Take a closer look at some of the properties we have chosen for your next Caspin Journeys holiday! HOW CAN I ENQUIRE FOR THIS TOUR? Just fill the following form with your enquires. If you prefer us to call you back, please provide also your telephone number and the best day and time suite you to receive a call from us. CAN I PAY A DEPOSIT FIRST AND PAY THE REST LATER? Once you have chosen your tour, click on the Book Now button. It will redirect you to our online booking form. We will personally send you a payment request by email just for the deposit, usually 25% of the total tour price. Feel free to decide the best payment method for your needs! We accept credit and debit cards, PayPal and bank transfer. When it will be time to pay the rest, we will send you another email with the other payment request. We will assist you through all the steps and we will available to answer to all your questions. our booking system allows you to choice if pay the full amount or only a deposit . CAN I PAY USING BANK TRANSFER? Don’t hesitate to call us 1-800 -9081980 for any questions. We would be happy to assist you with your booking! WHICH AIRPORT SHOULD I FLY TO? Pick up is from Bilbao International Airprot. Drop off is at Santiago de Compostela Airport, from where you can connect to all major Spanish Airports, such as Madrid or Barcelona. If you plan on arriving a few days early and will not be flying in on pick up day, contact us and we can work together to arrange a more convenient pick up location for you. 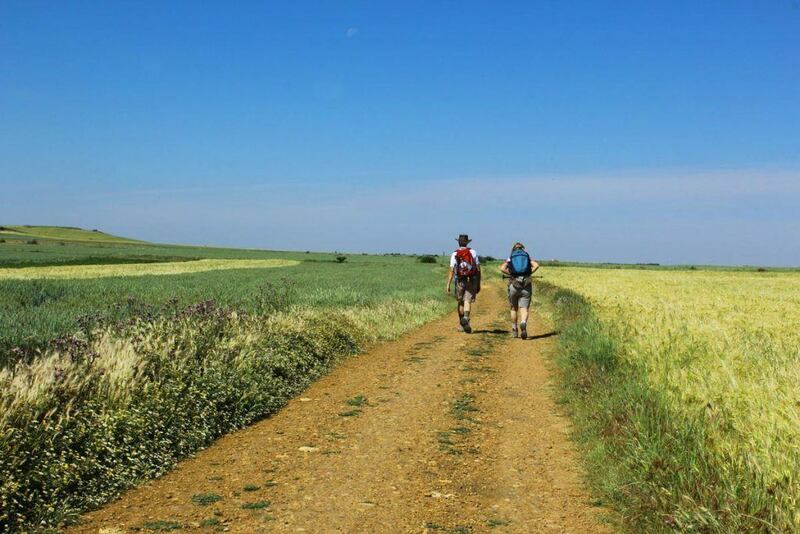 Are you ready for you Camino? We would love to speak with you! Copyright ©️ 2019 Caspin Journeys LTD. All Rights Reserved. 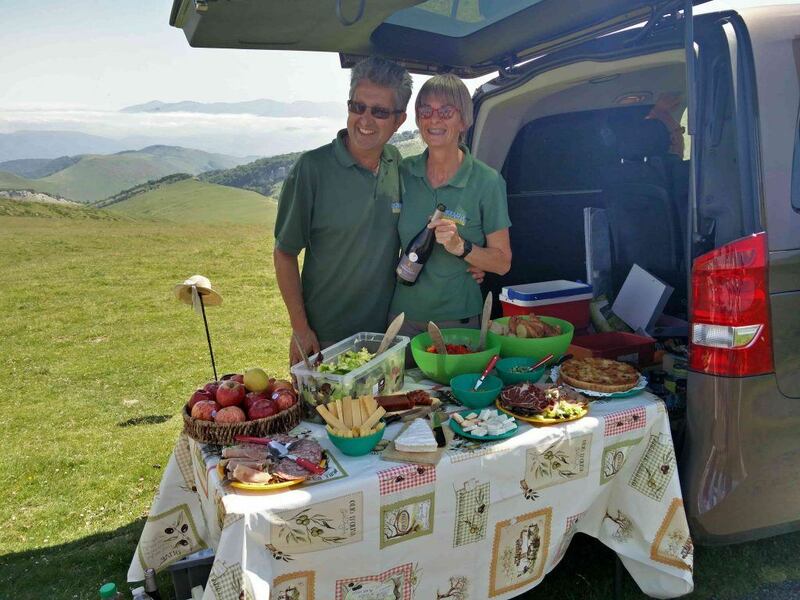 We – Caroline and Pino , Antonio and Simona – love our jobs and personally lead all our small group tours. 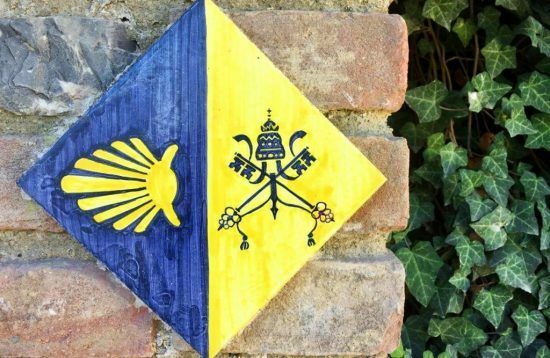 Italy, Spain and England are our homes and our passion. We bring that excitement with us on all our tours so that you too share our favourite places. 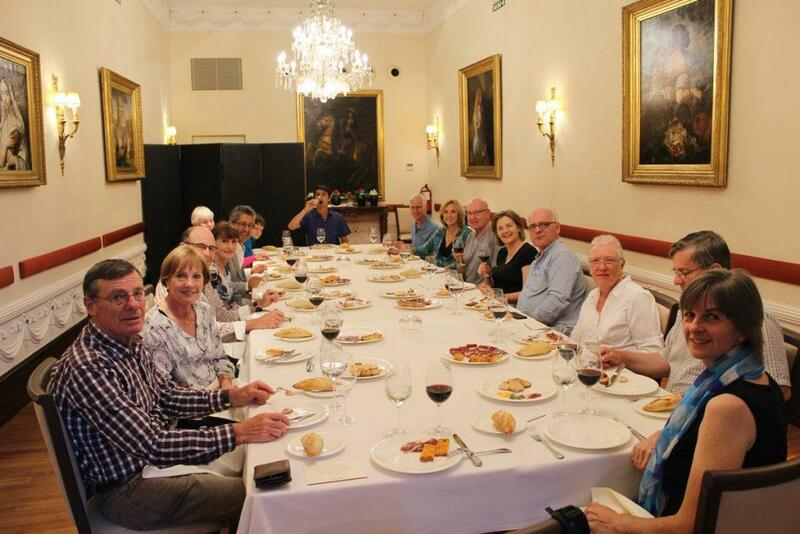 We are very experienced and handle all the logistics while you relax and become immersed in the local culture, history and traditions. 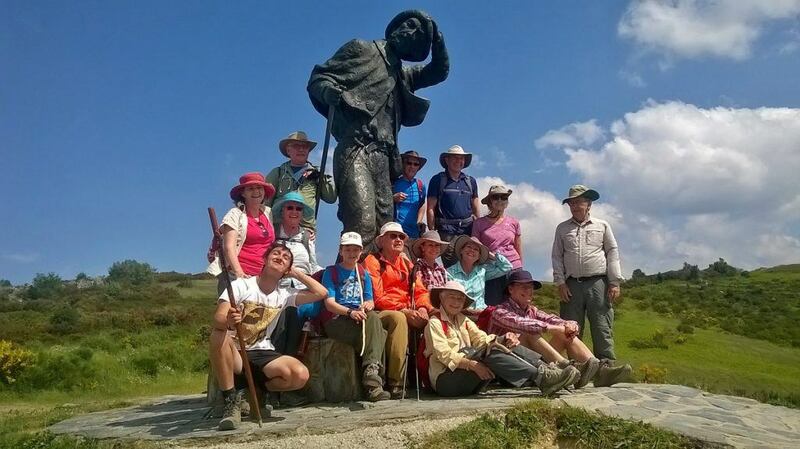 We know the locals on all our trips and they love meeting our groups. 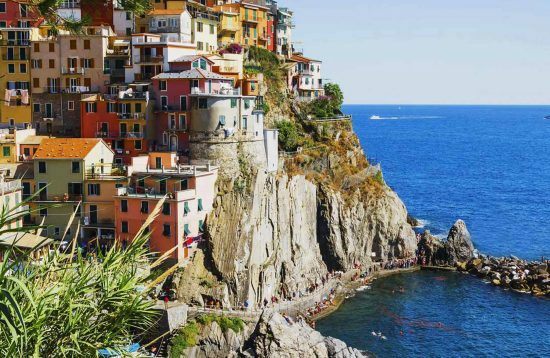 We are small enough to get into private homes, chat to villagers, fit in small restaurants and enjoy all kinds of unexpected events that aren’t accessible to large groups of tourists following a red umbrella. Our customer reviews say that Caspin Journeys takes the best care of you. 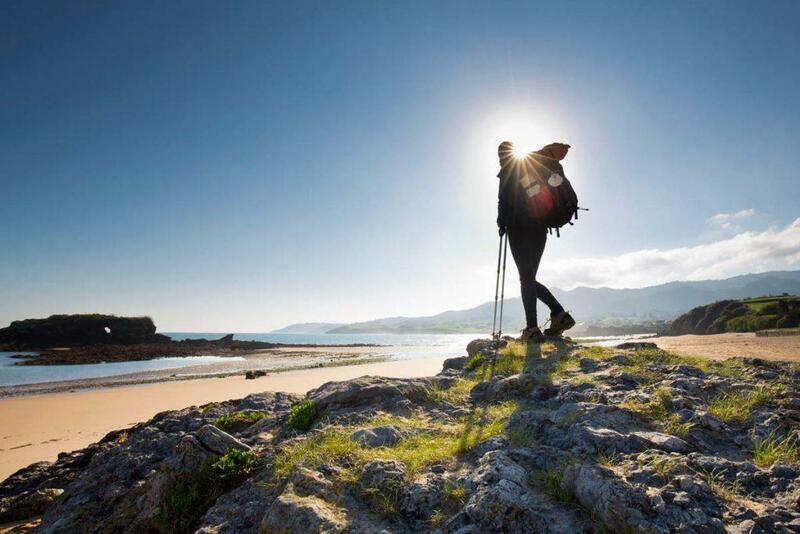 We are a sustainable travel company and the only thing we leave behind is our footprints! Food is an all important part of each and every one of our journeys. We are foodies, we love to savour the authentic flavours of each destination we visit. 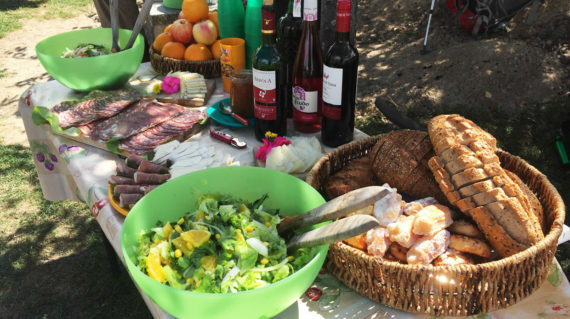 And let’s not forget the wine “the drink of the gods” which will accompany every meal, even picnics! Picture yourself eating Buffalo mozzarella from a farm in Amalfi, tasting a Sicilian cannolo with fresh ricotta cheese, home-made pasta, organic vegetables, fresh fish and so on. 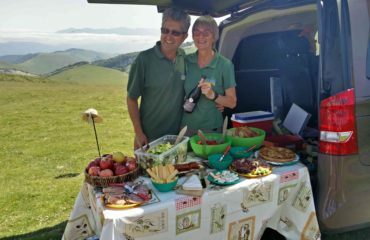 Or why not consider a Gourmet Cooking Holiday in Tuscany, where you will learn directly from the locals? 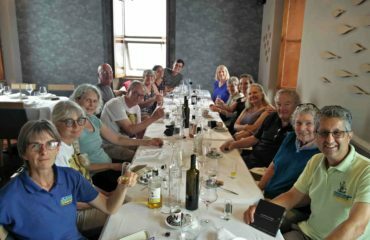 On our small group tours we use a combination of gourmet restaurants, local trattorias, traditional pubs, tapas bars and farmhouse meals, to give you the best overall experience! 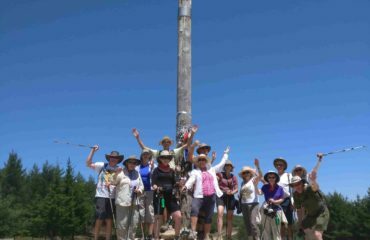 Each adventure combines fantastic hikes and authentic cultural experiences which make for a phenomenal and enriching travel experience. 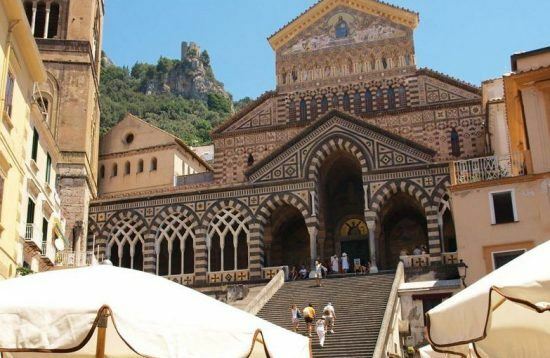 Travel in the richest artistic heritage in the world, many of which are part of UNESCO. What are you waiting for? Don’t miss out on an unforgettable trip. We believe that where you stay at night is an important part of your overall travel experience. So we put a lot of effort into carefully choosing the hotels for each tour. Naturally, we always look for attractive, clean and quiet rooms with private bathrooms. But, our priority is also to find the best possible accommodations and ensure that each night of your journey finds you comfortably settled in a place that is welcoming and full of authentic local charm. 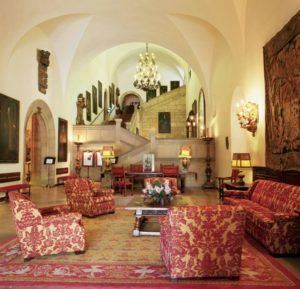 The result is a fabulous selection of delightful hotels, medieval palaces, family run hotels, country residences, manor houses, historic inns, luxurious alpine hotels – sometimes with a spa, sauna or swimming pool facilities – and all with character, good food and a friendly atmosphere. You will have to keep coming back to experience them all! Sweet Dreams! Our travel style attracts a similar type of people, outgoing, interesting, adventurous, cultured and curious. 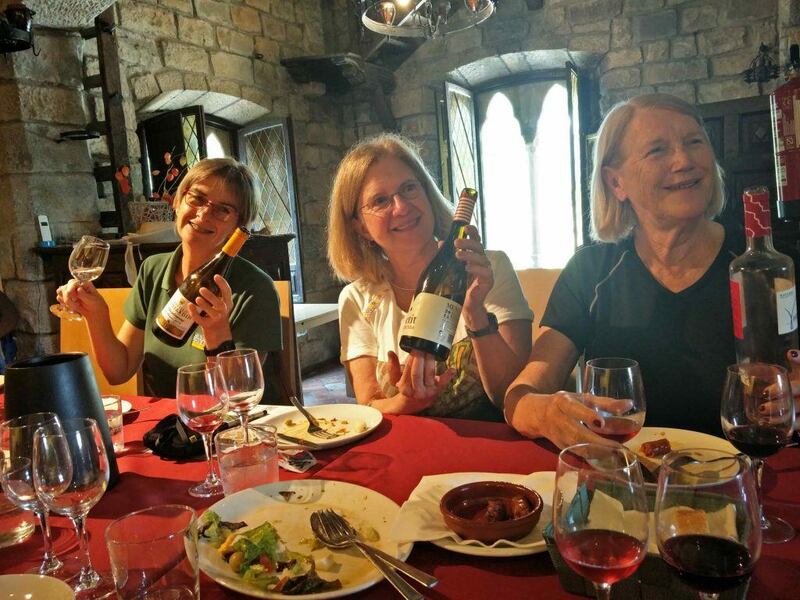 You’ll enjoy the company of your fellow travelers on our small group tours. 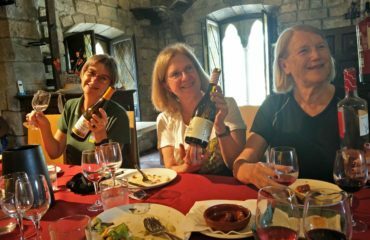 Italy’s food and wine, England’s local pubs, and Spain’s meditative and spiritual pilgrim route are best experienced amidst the camaraderie of the group. 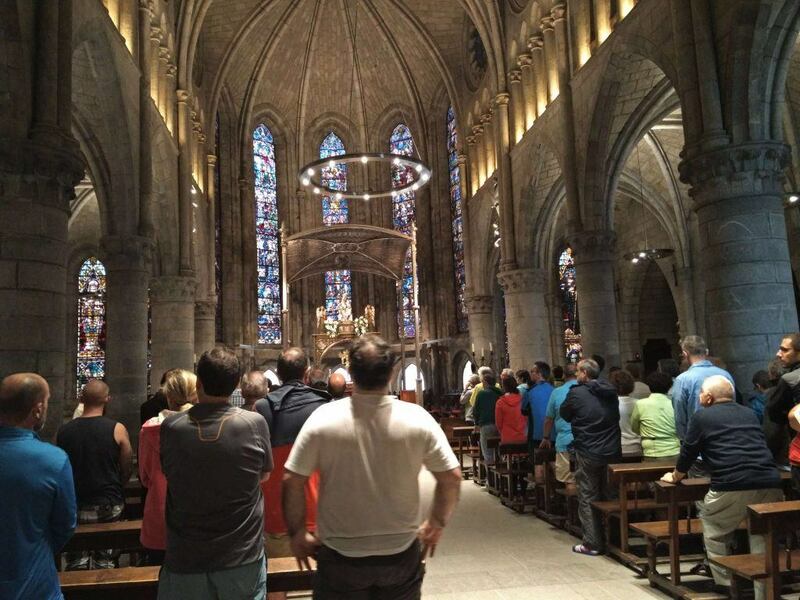 Guests who join our small group tours become our friends. 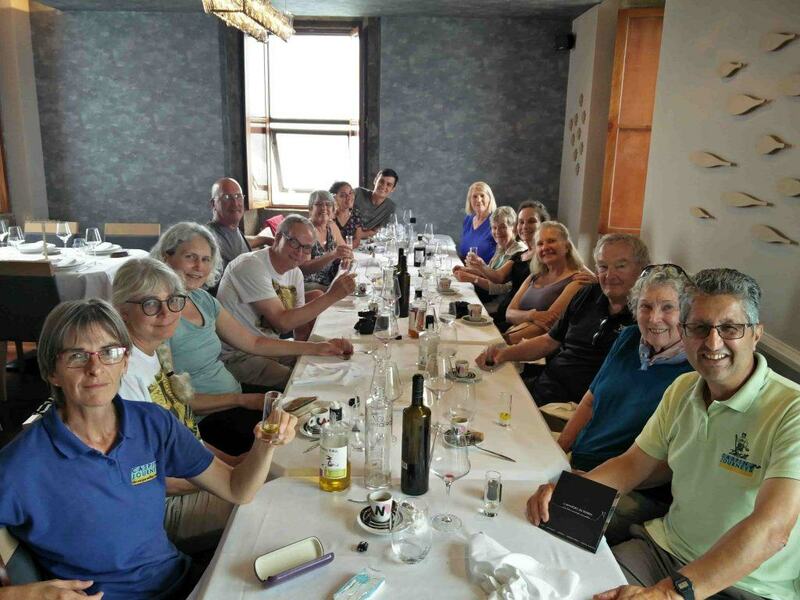 They return again and again to share new adventures as we explore these unforgettable destinations with like-minded travellers and build ever-lasting memories together. Getting out and about on foot is a wonderful way to slow down the pace, relax and get some healthy exercise. 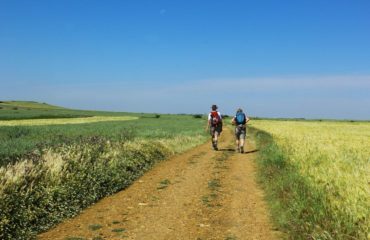 When we walk we see so much more – grape vines, wild flowers, ancient oaks, wheat fields, avenues of cypresses and pine, time resistant hills and valleys. As we stroll through historic towns we learn about the culture of the people; as we stand in the splendour of the countryside, beneath the soaring columns of ancient temples, abbey walls and turrets of medieval castles we marvel at man’s ability to conceive of and construct such monuments.